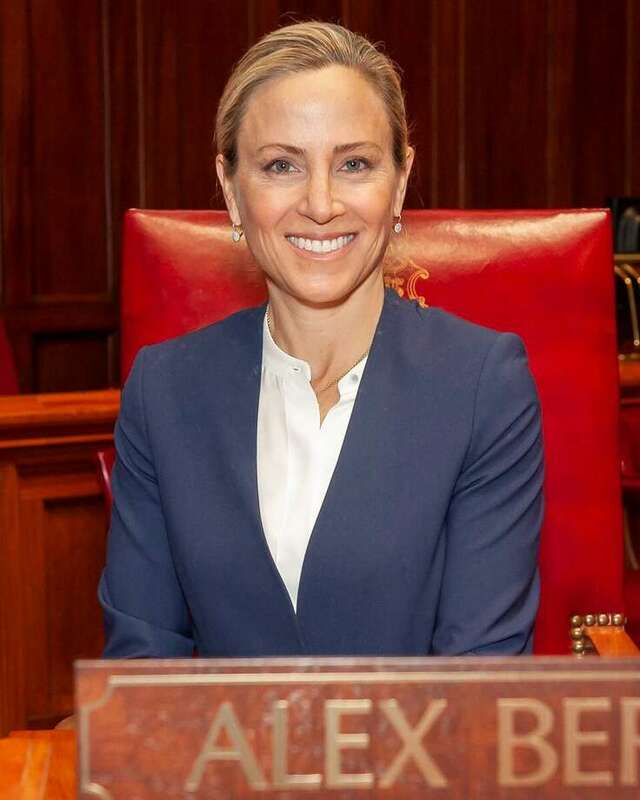 State Sen. Alex Bergstein, D-Greenwich, Stamford, New Canaan. HARTFORD — State Sen. Alex Bergstein no longer has an extra Capitol office employee paid out of her own pocket, a decision that sparked recent controversy over potential transparency issues. For up-to-date information on public policy issues, sign up for the CT Politics newsletter. Nichola Samponaro was Bergstein’s co-campaign manager and briefly worked for the Greenwich Democrat in the legislature. The party caucuses hire staff for them, but Samponaro was an additional aide, funded by Bergstein. Samponaro’s employment ended in late February, Bergstein said Wednesday. A 31-year-old Stamford resident, Samponaro says she is employed as a real estate agent on her LinkedIn. The Office of State Ethics issued an informal opinion last week that Samponaro’s employment by Bergstein was not a violation of state ethics law. Carol Carson, executive director of the Office of State Ethics, said in an interview Wednesday that there is no state law that covers a case of a lawmaker who hired someone with their own money. Bergstein requested the ethics opinion in late February. Some watchdogs said Samponaro’s unusual employment by the first-term senator raised transparency issues. But Vincent Mauro Jr., chief of staff for the Senate Democrats, said in February dozens of legislative workers — most of whom are unpaid interns — are in similar positions.